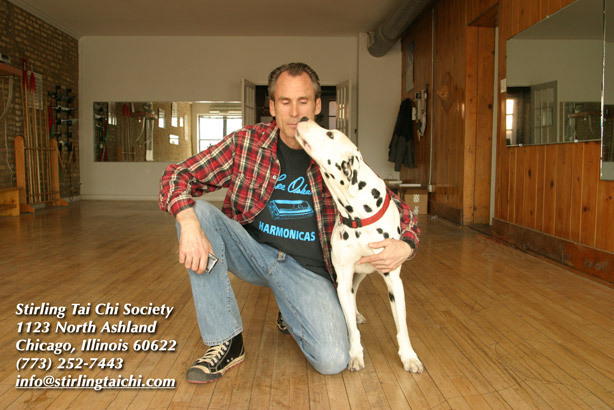 If you want to try a tai chi class and are not an in home video/dvd afficionado, there are classes around the Chicagoland area you may want to check out. While not an exhaustive list, it does give you a few ideas of where to look for tai chi instruction. A charitable organization that promotes the dual cultivation of body and mind. Cost: $50.00 a month for one class a week (4 classes) plus a one time registration fee of $10.00. Requirements: Come 15 minuted early on your first day to register. Wear loose comfortable clothing. All forms other than the 64-posture Tai Chi Chuan and Tan Tui are initially taught in special seminars and will incur additional fees. Durgerberg Academy of Martial Arts & Fitnexx, Inc.
Link to Dugerberg website here. Link to February class sign up here. Excellent! Thanks for the helpful information! Thanks for providing this resource. Another school is in Chinatown, Calm Chicago. (www.calmchicago.org) The center offers yang 24 short form, 18-form qigong and yi jin jig. As well you can study meditation, sitting, standing, walking. Through the web site you can get to their facebook page and wordpress blog. Another school that offers Tai Chi is Bei Dou Kung Fu Chicago (www.beidoukungfuchicago.com) on Fullerton and Greenview in Lincoln Park. Yang and Chen styles, sword forms, and sometimes a little Qi Gong is added into the class. I have searched long and hard to find tai chi with the meaningfulness and depth that I was introduced to many years ago by the great Gabriel Chin. I finally found it in Chicago in Sifu Will Dias. His Yang 64 is powerful but he also has Xing Yi, Yi Chuan, Zhan Zhuang, and more. He is demanding, but so worth while. Thanks for reading and commenting on our blog! I am glad you found Tai Chi teacher that you enjoy. Thank you for sharing his name and information about his style of teaching. Hi Kim, I was once a student of Sifu Will Dias but lost touch with him. Do you know where I can contact him?